Boys love to play in the mud and now they can mold it into the coolest off road ramps, obstacles, smashable cars, cones, jump mounds, crash walls and more. 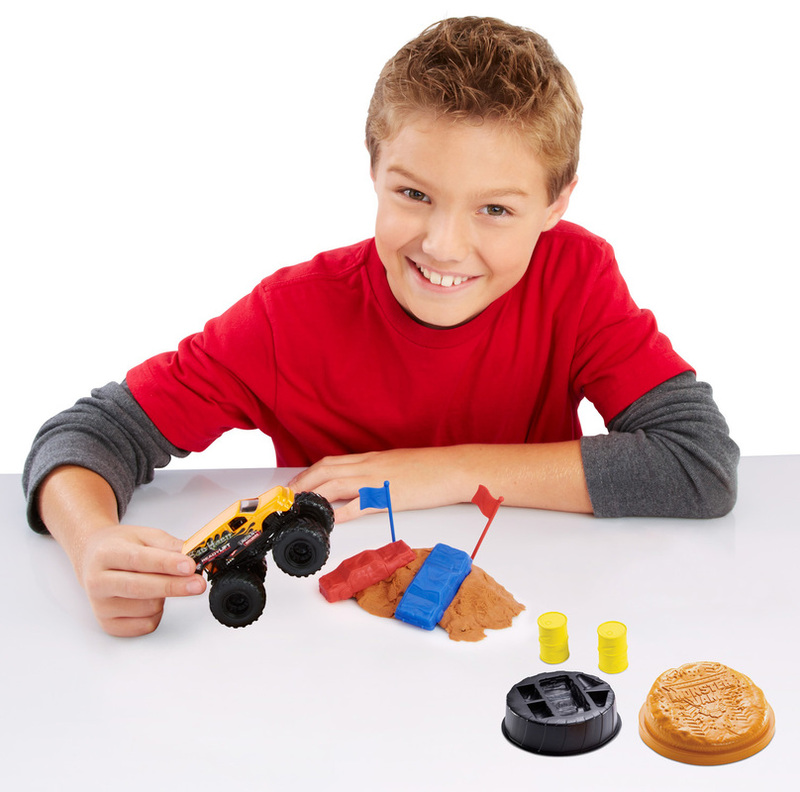 The Monster Jam Monster Mud Action Set is ready to practice stadium worthy stunts and take on any competition. When the fun is done for the day, simply mash the mud back up and pack it in the tire themed, airtight container for easy storage and portability. The assortment also features Monster Mud star King Krunch (sold separately, subject to availability). 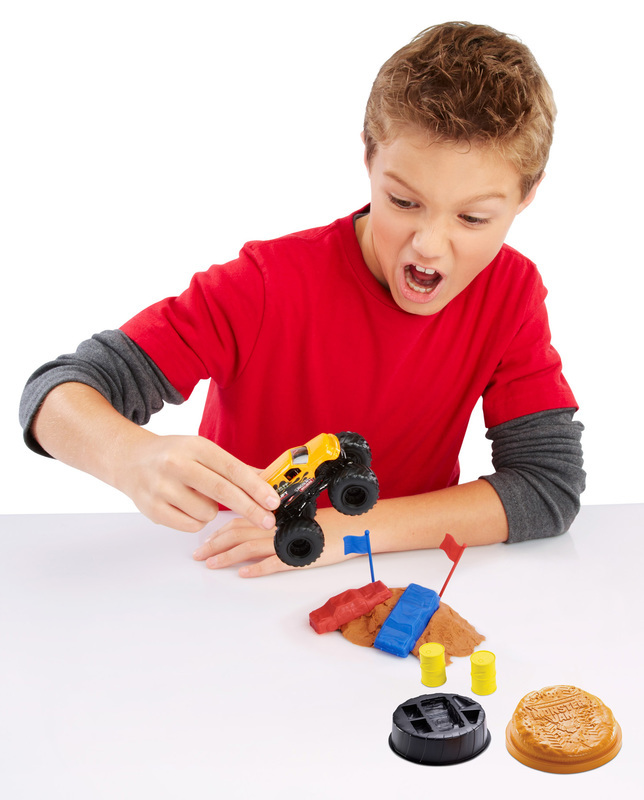 With Hot Wheels Monster Jam Monster Mud Action Set assortment, boys can invent their own monster-sized tricks and killer stunt tracks and test their skills in daring new ways. 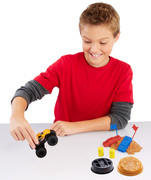 Includes two course posts, flags, one Monster Jam truck, mud, storage container, winner's mound, crushable cars and more!